Music that floats where you go. Why carry around that cumbersome music player when you can have it hovering over your head? 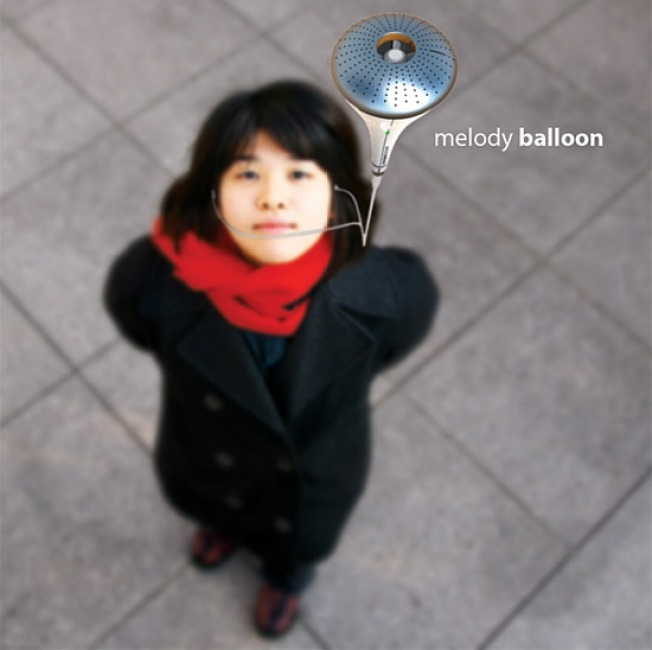 Here's one of the weirdest designs of the year, Melody Balloon, a helium-inflated music player that you control with a ring on your finger. It's a design concept so far, and it's so radical, we think it'll probably stay that way. Even so, it might be fun to fly your little music player around, annoying everyone. We're wondering why this little player wouldn't just float away, but maybe if you attach it firmly enough inside your ears, you'll be next year's balloon boy.